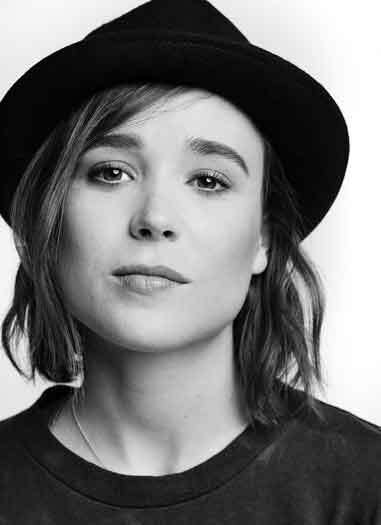 Actress and social activist Ellen Page recently witnessed history repeating itself while revisiting acclaimed classic Casablanca. Page noted the 1942 film’s eerie modern-day relevance, “the Nazi presence, but the sort of neutrality of people,” while watching the fraught and tense events — as well as “the romanticism of sacrifice” — unfold as Humphrey Bogart’s Rick Blaine protects his old flame, Ingrid Bergman’s Ilsa, and her husband Victor Laszlo (Paul Henreid) from Nazis. Page’s queering and feminizing of Casablanca marches in line with a Hollywood movement bending to minorities as they occupy the narratives of famed and noteworthy but classically cisgender, straight, white works, from the all-black cast remake of Lifetime’s Steel Magnolias to the Latinx-led One Day at a Time on Netflix, and women taking on roles first depicted by men in Ocean’s 8 and Ghostbusters. “In some ways, people are almost just realizing it,” Page remarks on efforts to portray underrepresented minorities on screen. She says, until recently, the “privileged” American public (see: white people) “haven’t been cognizant” of giving every kind a seat at the table. 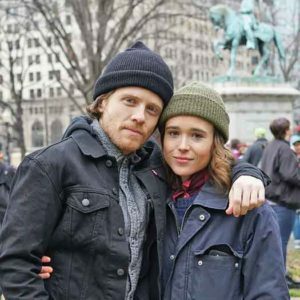 Page, who came out in 2014 and married professional dancer and fellow Canadian Emma Portner in 2018, is forthright about the lack of diversity in some of her own films. Cut on roles in 2005’s Hard Candy and Juno, Page’s career has dipped into multiple genres: high-budget thrill rides (two X-Men films, Inception), zombie dramas heavy on queer subtext (The Cured), and gay-themed true stories. In the 2015 New Jersey lesbian biopic Freeheld, Page portrayed Stacie Andree, the partner of Laurel Hester (Julianne Moore), a gay police officer who fought to have her pension benefits transferred to Andree after being diagnosed with terminal cancer. 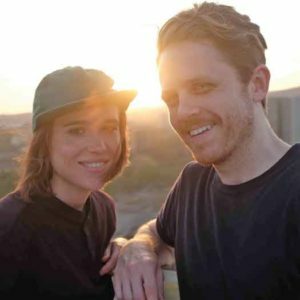 Early the following year, the actress’ collaboration with gay friend and co-host Ian Daniel, Viceland’s Gaycation, aired. The show had the activists traveling to countries like Japan, Brazil, and Jamaica to investigate the horrific challenges and distinct cultural characteristics of being LGBT abroad. After Gaycation, Page has continued to tackle projects that are extensions of her own lesbian identity, such as this year’s The Cured, an allegorically queer zombie film from out filmmaker David Freyne. Recent LGBT films evade her simply because “I’ve, like, literally barely watched movies. It’s been a problem.” She immediately retracts: “Not a problem — but the last year or two, quite frankly, I don’t know, but just for some reason I haven’t really watched movies.” Apologizing for missing this year’s impressive slate of LGBT films (she did ask for recommendations), Page says she thoroughly enjoyed the “stunning” Tomboy, a 2011 French drama she says is still fresh on her mind. Seemingly more queer-content creator than consumer, she just wrapped shooting the revival of Armistead Maupin’s 1993 TV adaptation of his Tales of the City books, where she joins original cast members Laura Linney and Olympia Dukakis in the 10-part Netflix series, due in 2019. Page refrained from sharing specific details as requested by showrunners. But Netflix’s contemporary Tales is set 20 years later, as Mary Ann (Linney) returns to San Francisco to her ex-husband Brian (Paul Gross) and daughter Shawna (Page), as well as Anna Madrigal (Dukakis) and a motley crew of other 28 Barbary Lane residents. As editor of Q Syndicate, the international LGBT wire service, Chris Azzopardi has interviewed a multitude of superstars. Reach him via his website at chris-azzopardi.com and on Twitter (@chrisazzopardi).